Consciousness isn't too hard to define and measure in terms of adaptive behavioral reactiveness to stimulus or the environment. And, yes, individuals (within and between species) do vary in measurable levels of consciousness. But self-consciousness is much harder in that it involves the hidden variables of internal cognitive processes that are reflecting on internal cognitive processes of the organism and of other organisms. Testing and measuring self-consciousness seems to require assessing the outward behavior of the subject in ways that test the presence of the hidden variables that are self-consciousness. It's experiments such as discovering that birds such as scrub jays, blue jays, and Eurasian jays that steal food tend to relocate their cached food if they noted the presence of another blue jay when they first stored the food. Blue jays know what proxies are; my cottage chimney was stuffed with blue razors and clothes pegs last year. I'm not surprised. Corvids (crows, ravens, jays, & magpies) are extremely smart, tool making creatures that have been shown to: make plans about the future (e.g., what to save from lunch tomorrow as a function of what food is available today), pass the mirror test, and count. There are the last extant class of the most successful species on the planet, so we should not be surprised. For gentlemen, do they check their flies? For ladies, do they check whether their skirt is tucked into their knickers? For trans...I’ll leave that to our resident experts. Consciousness is always interesting as it is undefined. We tend to think of everyone having the same level of consciousness but some people are more conscious than others. Preparing for the apocalypse. Birds know these things. They are ready for Brexit, then? After Brexit beards will be banned. And clothes must be dry. Wet clothes and beards are foreign, German or French if I’m not mistaken. Hmmm... After Brexit, won't all the Saxons and Normans be expelled? They are German and French, too. You misunderstand Brexit. We love Europe and Europeans, and Chinese, and Haitians, and everyone, even Americans. We just don’t like the EU. And we want to be free to trade with all countries, and let talented people from all countries into the U.K., not just those that some unelected xenophobic, protectionist, drunk tells us to. But the beards have got to go. Ah, so anyone with a naked chin can enter? Oh dear, and you did so well before...this is the sort of thing that brings maths website into disrepute! Sorry! I'm from a country that thinks CPR cures assault rifle wounds. Back to computer games, why are there so few (if any) great quant finance games? Mershon built that interstellar finance game that could have been a big hit, except the graphic was way too low budget as well as the sound and special effect (never got beyond the prototype I think). What about a game where one can destroy other planets with the Warren Buffet Weapon's of Mass destruction: also known as Derivatives, or by introducing negative volatility into non-brexit countries. There's one quant finance computer game that has 99% marketshare and millions of players: online trading. I have often idly thought about building an on-line trading game. But for the same reasons as T4A it ends up being a little pointless as there is reality. 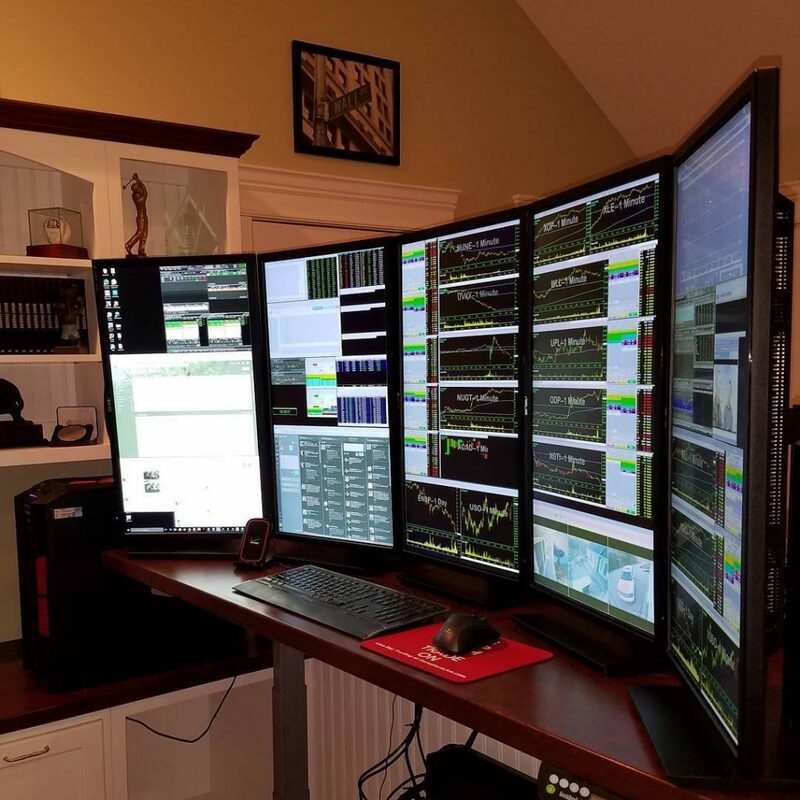 A trading simulator might be a better option (and there were one or two out many years ago) - but with everything going algo, not sure there is much profit in it. There could be huge profit in a game-like UI built onto a live trading front end. The idea is to translate a stream of market data (prices, trades, order book, etc.) into a rich 3-D graphic environment that the player interacts with. For example, maybe you pilot a space craft though a 3-D canyon/tunnel of moving prices, "shooting" at entries on the order book, with each hit initiating a trade, and your "points" being your profits. A graphically rich game UI would be a way to visualize market dynamics and convert price motion into physical motion by which the trader engages both the visual and motor regions of their brain to learn how to profitably "chase" price movements. "We are here publishing a space game program that involves bringing uranium to the Earth." "Vi trykker her et spacespill-program som går ut på å frakte uran til jorda." "You are on a journey in the universe to get uranium to the earth. Uranium you can get hold off by crossing the astroide belt and avoiding different aliens. Your Mother Ship is too big for that. That's why you have 4 small spaceships. With these you can pick up uranium from different planets." This was my second published game, light years ahead of Torpedo in graphics and sound effects, check page 22, (and page 39 Machine Code, stright into the memory, this is how you talk directly with a computer, without bunch of Translators between u and the Chip )....excellent code should mainly consist of numbers! RETRO computers and Games fast growing market someone on tv claimed other day. This is almost like the Dinosaurs are awakening again after sleeping for many years. The DNA survived and got into new (retro) bodies! How can we be sure not the same will happen with humans one day? the day of Resurrection (Retro-humans) ?